Sure, Christmas is still a few weeks away, but automakers are already getting in the spirit, with Dodge making the first splash at this year’s LA Auto Show. 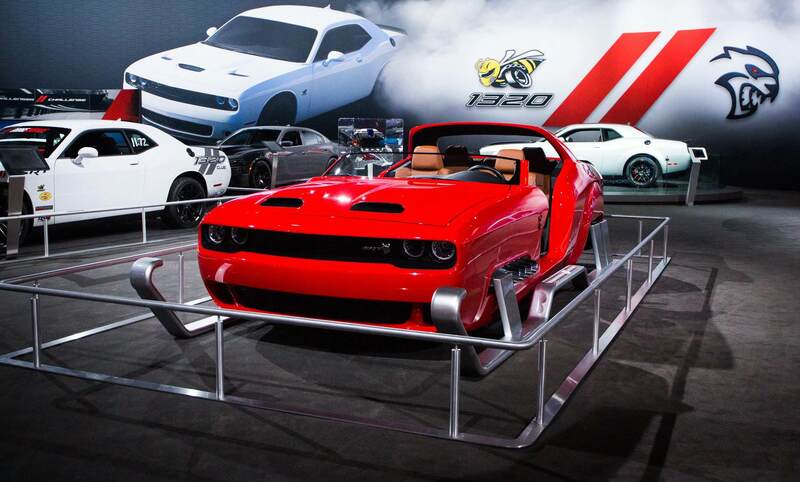 They have revealed a 797-horsepower Dodge Challenger SRT Hellcat Redeye Santa Claus sleigh. Power comes from a 6.2-liter supercharged Hemi V-8 from the Hellcat Redeye, and it features dual exhaust tips, along with seven-passenger seating. This isn’t a fiberglass shell, but rather a Dodge Challenger widebody that has been modified and turned into a sleigh, complete with a start button for the engine. Read more for another video and additional information. “Four chrome exhaust pipes sprout from the front fender, the windshield is lowered, the roof is mostly removed for an open-air feel, and there’s a space for presents in the rear. The Hellcat logo with reindeer antlers in the front grille is a nice finishing touch,” reports Card & Driver.